Pinckney (age 41) is survived by his wife, Jennifer (whom he married in 1999), and their two children, Eliana and Malana. At the age of 23, he was the youngest African-American in South Carolina history to be elected to the legislature. 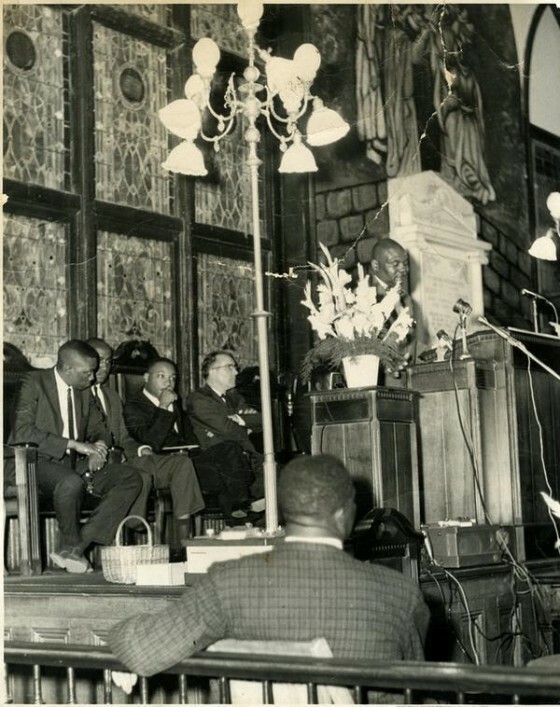 He began preaching when he was 13 years old and was first appointed to preach at the age of 18. After earning a degree in business administration and a master’s degree in public administration, he enrolled in Lutheran Theological Southern Seminary (ELCA) in Columbia, S.C., graduating with an MDiv in 2008. In 2010 he was named pastor of Mother Emanuel AME. He was a fourth-generation pastor. 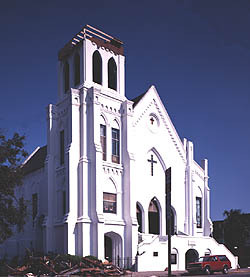 4) Parishioners rebuilt the church after the fire and worshipped there until 1834, when South Carolina outlawed all-Black churches. The murderer—identified by police as 21-year-old Dylann Roof—has not been apprehended at time of writing. Let us pray for both the justice of God upon his enemies and for his healing comfort to be upon his people.